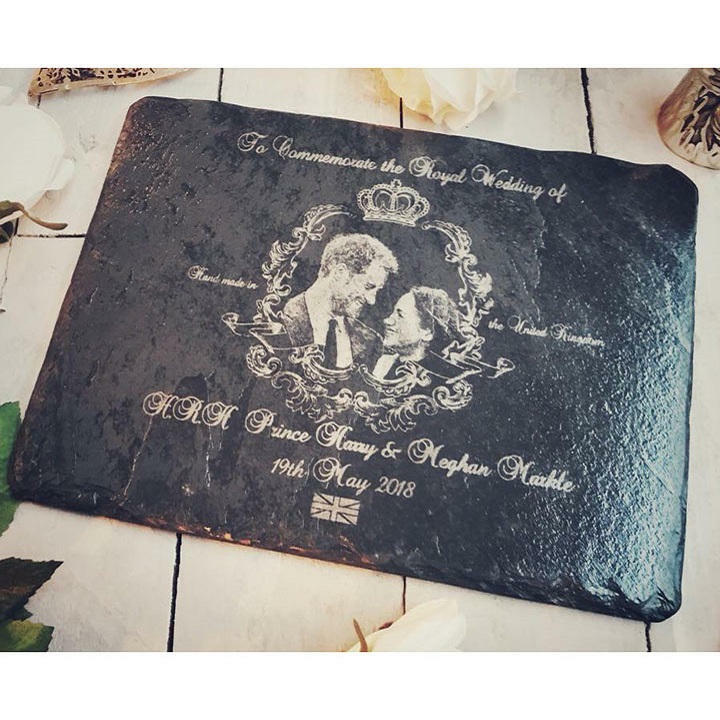 Celebrate the Royal Wedding of Prince Harry & Meghan Markle with this handmade decorative slate platter. Suitable for hot and cold foods, the board is entirely food safe and comes complete with protective feet to protect underlying surfaces. 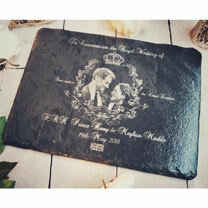 Engraved with a photograph of the royal couple and the date of their wedding. 30 x 22cm.